In September 2011 the charity invited its members to complete a Speech Methods Questionnaire to assist in the preparation of some extra material to be added to the book Laryngectomy is not a Tragedy which was written by the founder of the Charity Sydney Norgate and is a key part of the Charity. It has helped many people facing the prospect of a laryngectomy. Almost 200 members completed the questionnaire providing some very useful information to assist the preparation of the new material which has been written by Nikki Oswald who is a grand-daughter of Sydney Norgate. She qualified in 2011 as a Doctor having studied at Birmingham University. She has a particular interest in ENT surgery. Her work has been supervised by Mr Paul Pracey who is an ENT Consultant at Good Hope Hospital and Queen Elizabeth Hospital in Birmingham. 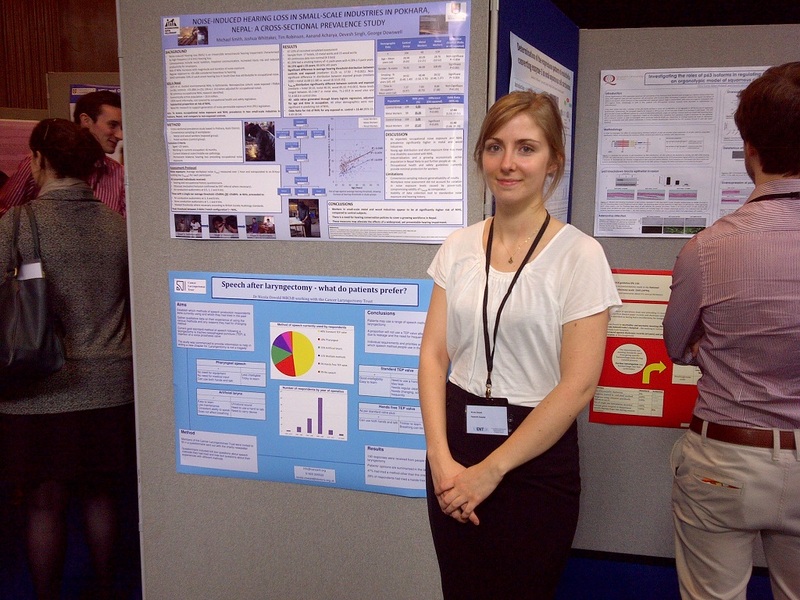 Nikki presented the initial analysis of the responses in a poster session at an ENT conference in 2013.